In Sicilian, buono, ‘good’, can be used as an adverb to indicate quality. We use buono to describe a myriad of “things” – taste, aesthetics, ethics. If you’ve done something well, Sicilians say buono fecisti, which is used in the same way Italians use hai fatto bene: both mean ‘you’ve done well’. Sicilians also use bello, meaning ‘beautiful’/’lovely’, in a similar manner to buono, as it too indicates taste, aesthetics, ethics. 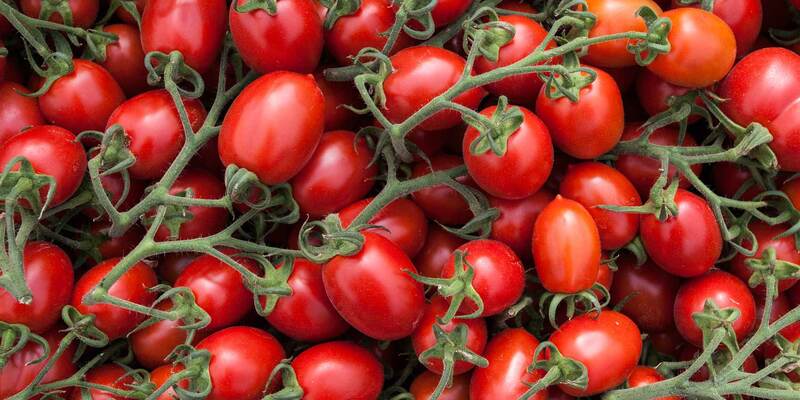 Bello pomodoro, ‘beautiful tomato’, literally translated, expresses that the tomato tastes delicious and may also imply that it was grown well. Meaning is steeped into the language and thus it is steeped in the present, past, and future work of Sicilian farmer Giovanni Parisi, age 41. Three generations before him have farmed the same land, overlooking the sea of Cava d’Aliga in the Carcarazzo district of Scicli. Just as taste, aesthetics, and ethics are directly tied to his ancestors language, they are also directly linked to his everyday life’s work. You can find Giovanni’s semi-dry grape tomatoes in Box Arrabbiatissima! Looking back on the past, Giovanni remembers the cannavate of his maternal Grandfather: the fertile gardens along the river between Modica and Scicli, nourished by fertile alluvial soils and hydrated by nearby waters. He also remembers the cannavate of his paternal Grandfather: the ancient varieties of tomatoes which were sowed in an open field during the month of April and which were harvested in June, the cows who gave milk to the family and who provided manure as fertilizer for the fields. While his grandparents worked their fields, the first greenhouses arrived in the 1960’s filling up the province of Ragusa da Vittoria in Sicily, first seemingly temporary, made of wood, then quite fixed, made of iron. Giovanni was not born yet as this agricultural revolution occurred. Giovanni grew up on his families’ land, taught how to steward the earth by his parents and grandparents. Agriculture was in his blood. It was only natural then that as a young man, Giovanni enrolled in the Istituto Agrario di Scicli, the Agrarian Institute of Scicli. Faced with a choice presented by his father, Giovanni had to decide whether he would attend University or join his father on the farm. Knowing both were good options, he did not choose one or the other, rather, he chose both. All of this naturally, thanks to the Sicilian sun that gives us help. Giovanni’s work comes from a deep understanding; as a farmer he also works as an excellent nutritionist who, instead of prescribing supplements galore to prevent or cure problems, administers the exact nutrition his tomato crop needs according to the phase of its growth. The plant, in turn, gives thanks: it is not attacked by pathogenic agents as it is strong and pure, resistant to fungi and molds. Like a person, if the plant eats well, it does not fall ill. For Giovanni, no “medicines” are used and that is fundamental – he only encourages synthesis by hormones, as he prefers that pollination of the plant is done naturally, by the bees. 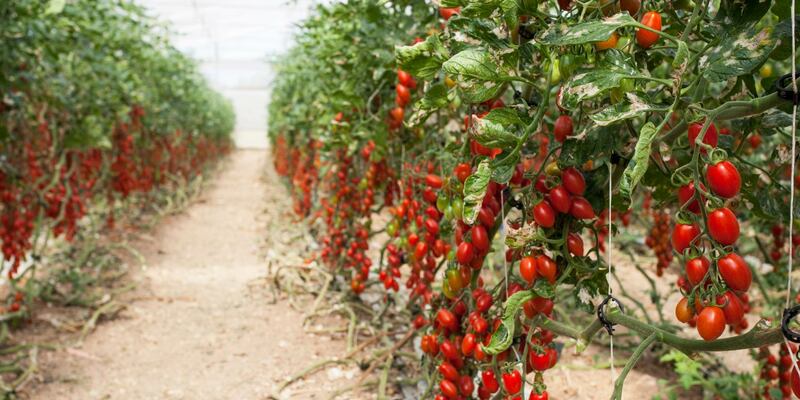 As the tomatoes grow strong, June marks the time when the datterini tomatoes have to be tested to see if they are almost ready to be harvested and conserved. The “Sauce Test”, it is called. During this time, plant irrigation becomes less frequent which causes the plant to take in mineral salts. The plant then concentrates all the vital energy into the fruit. Nearing August harvest, the tomatoes are almost good enough to be called datterini. As the fruits’ water content levels drop, their sugar naturally concentrates. Then, they are harvested, and rest for at least a week. Meanwhile, the water content falls a bit more, which results in a quicker cooking and a greater retention of vitamins. The tomatoes are now good enough to be called datterini. 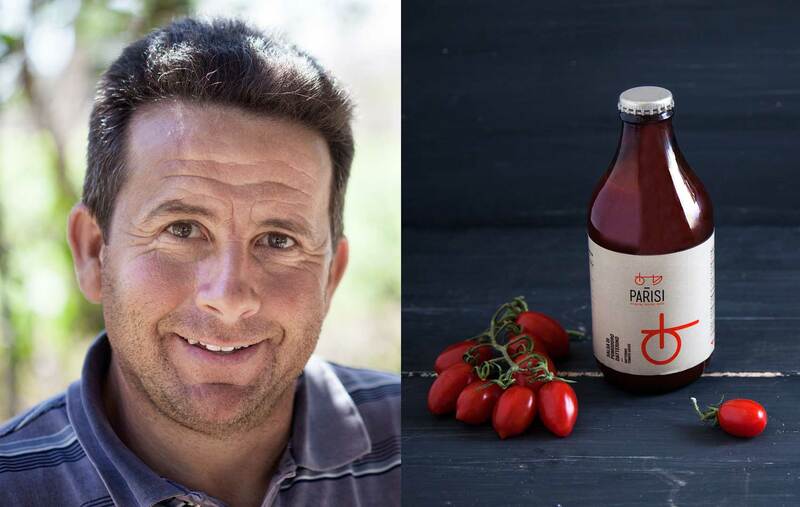 Giovanni has always put his head and heart into his farming, into growing belli pomodori in an open field, in a good way. That work was recognized. 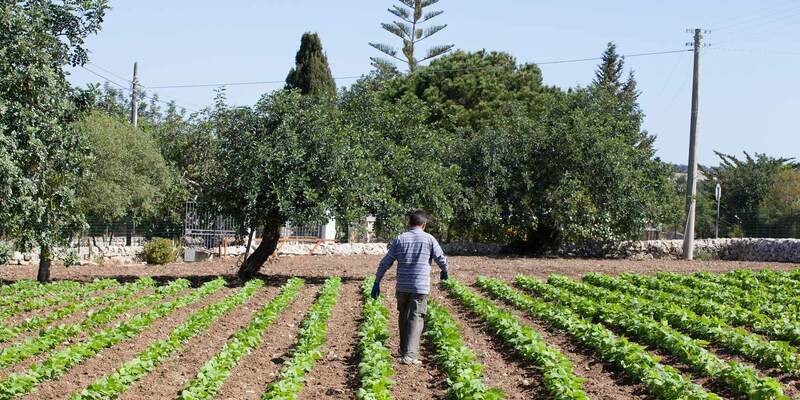 People passed his land when driving between Scicli and Cava d’Aliga, saw his tomatoes in an open field, stopped, and asked if it is would be possible not only to buy his tomatoes, but also any conserved sauce he may have made. With such interest, Giovanni decided to bottle and sell his belli pomodori. The result is a tomato sauce which conserves not only a good taste and aesthetic, but also, good ethics. Buono fecisti, Giovanni. This steward of the land has done, and continues to do, beautifully good work.